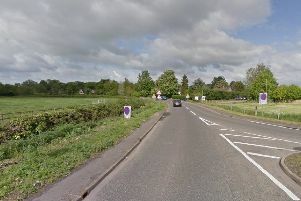 Emergency services were called to the crash on the B1443 Bukehorn Road between Thorney and Crowland. Police were called at 1.19pm to reports of a road traffic collision on Bukehorn Road, Thorney involving three cars and a HGV. The road blocked in both directions and motorists are asked to avoid the area. Three people were taken to hospital with injuries. Recovery of the vehicles is underway.